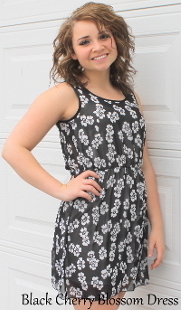 Cherry blossom dress. 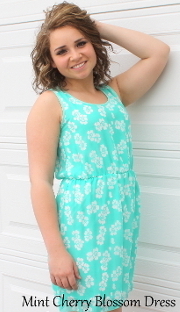 Great sundress for all occasions. Elastic waist. Slit open back. %100 polyester. Made in the USA. 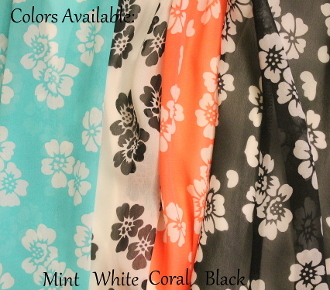 Comes in Colors: Coral; White; Black; Mint. Comes in Sizes: Small; Medium; Large.